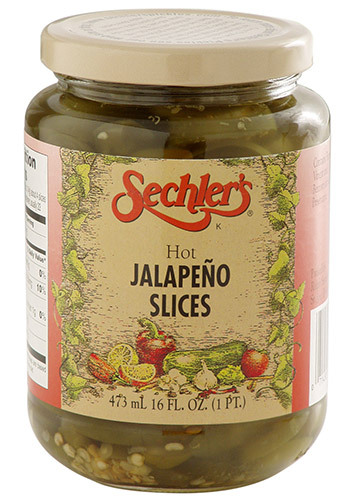 16 ounce Hot Jalapeno Slices are thinly sliced pickled jalapenos. WISH YOU HAD A VARIETY ! ALITTLE TO HOT FOR US, WE POURED OUT JUICE AND REPLACED IT WITH YOUR GARLIC DILL PICKLE JUICE AND IT HELPED TREMENDOUSLY.MY WIFE WANTS TO TRY CANDIED DILL PICKLE JUICE ? From Anonymous of Toledo , Ohio on 10/23/2017 . From Anonymous of Lombard, Illinois on 3/31/2014 .